An opportunity to acquire a 4/5 bedroom Duplex Apartment in the elite area of Portomaso, being a waterfront residential development. Besides the luxury Apartments and Penthouses, other components of the development include the 5 star Hilton hotel, a beach club, a leisure and health center, a yacht marina, an office tower, a conference center and a selection of shops. This property is approximately 550sq. mtrs. and is offered in shell form. 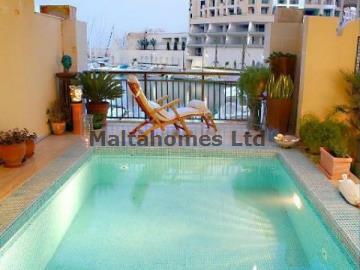 Furthermore, the property enjoys a swimming pool facility and can be finished to owner's specifications upon request.